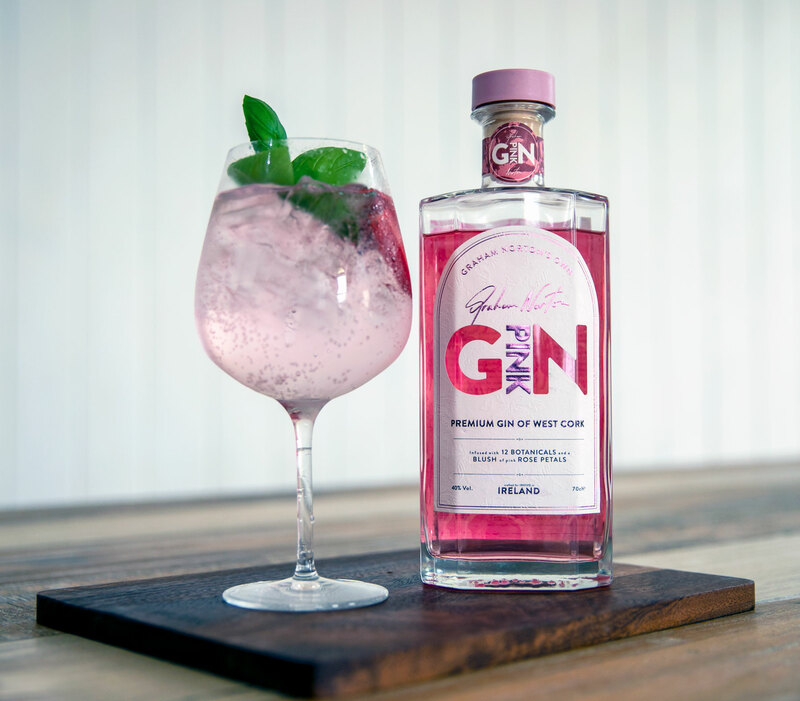 Just in time for Mother’s Day, Graham Norton’s Own Irish PINK GiN has gone on sale in the UK – you’ll find it on the shelves in Tesco nationwide. Graham Norton’s Own Irish Gin in the London Dry style will be released later this year in the UK and is already selling fantastically in Ireland. Both styles will be on sale in New Zealand around June. Check out our GiN page for the lowdown on these two delicious GiNs. Graham’s Irish GiN range follows the global success of his SauviGNon Blanc, Rosé, Shiraz and Prosecco. True to his roots, Graham was keen to work with an Irish distillery on this project and an extensive search led Norton and the team to a distillery not far from Graham’s Cork home. West Cork Distillers worked with Graham to create two small-batch premium gins. Graham Norton’s Own Irish Pink GiN is made with Irish grain, and draws its flavour from a combination of 12 botanicals including lemon peel, orange peel, elderflower, rose hip, and fuchsia flowers. Graham Norton’s Irish GiN is a premium London Dry style, as distinctive as the man himself. Both gins utilise locally foraged botanicals as part of their unique blends. “Great gin is a starting point. Add the right mixers, a favourite glass and a friend or two and you’ve got a recipe for something very special indeed,” says Graham. Read what the press around the globe is saying about Invivo & Co here.